Cancer diagnostics developer CellMax Life said it is launching a U.S. clinical study designed to assess the effectiveness of its circulating tumor cell (CTC) blood test designed to detect colorectal cancer. CellMax Life said the company will initially carry out the study with top-tier U.S. medical centers that include Stanford Medicine and the U.S. Department of Veterans Affairs Palo Alto Health Care System, Johns Hopkins and University of Southern California. In the study, thousands of patients undergoing routine colorectal cancer screening via colonoscopy or stool tests will be offered CellMax Life's blood test, which is designed to enable diagnosis of the disease at its earliest stages. “We plan to work closely with the FDA upfront to define the details of this study,” CellMax Life CEO Atul Sharan said yesterday in a statement. Sharan added that the company will also pursue reimbursement for the test by submitting it for concurrent FDA approval and a coverage determination by the Centers for Medicare and Medicaid Services (CMS), through the agencies’ Parallel Review Program. The test requires a single tube of blood, and will be marketed for under $200, CellMax Life said. Results of the blood test will be compared to those from the colonoscopy and stool tests. 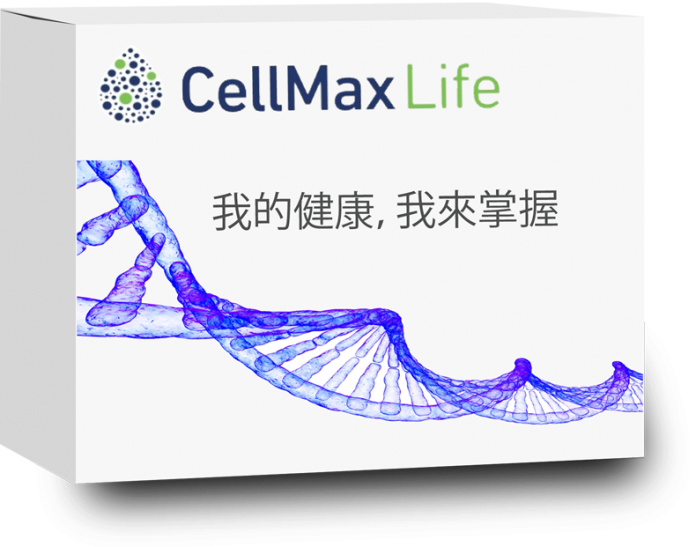 CellMax Life’s test uses the company’s CMx ultra-sensitive CTC platform, designed to isolate rare CTCs present at a fraction of 1 to 10 CTCs in a background of 1 billion normal cells in pre-cancer and early stage cancer. CMx captures CTCs on a lipid-coated chip intended to mimic human tissue. The platform is protected by eight patents, and according to the company is intended to win approval as the first CTC technology with the sensitivity to enable early cancer detection; the FDA has approved and validates CTC testing for metastatic cancer. The CTC test has been marketed for two years in Asia, where a clinical trial showed that the diagnostic generated an accuracy range of 84% to 88%. Results from the Asian study were presented at the American Society of Clinical Oncology (ASCO)’s 2018 Gastrointestinal Cancers Symposium, held January 18-20 in San Francisco. “Our results may point to a solution for people who are reluctant to get an initial screening colonoscopy or are not compliant in returning stool-based test kits that they get from their doctors,” the Asian study’s lead author Wen-Sy Tsai, M.D., Ph.D., of Linkou Chang Gung Memorial Hospital in Taoyuan City, Taiwan, said at the time. Researchers at Chang Gung enrolled 620 people over age 20 who were coming to the hospital for routine colonoscopies or had a confirmed colorectal cancer diagnosis. Based on the colonoscopy and biopsy, 438 people were found to have either pre-cancerous adenomatous or early to late-stage colorectal cancers. The 182-participant comparison group had no signs of a pre-cancerous growth or colorectal cancer. All 620 enrollees had 2 ml of blood tested for CTC analysis through a routine blood draw. The lead principal investigator for the U.S. clinical study said he expected physicians will adopt the CellMax Life CTC test as a first-line screening option for all patients, with colonoscopy as the confirmatory diagnostic for patients who test positive via the company’s diagnostic. “After CellMax Life's blood test showed such impressive results at ASCO GI, we believe it can address the unmet need for a convenient, accurate and affordable test for early colorectal cancer detection,” added Shai Friedland, M.D., Chief of Gastroenterology & Hepatology, VA Palo Alto Health Care System from the Stanford University School of Medicine.